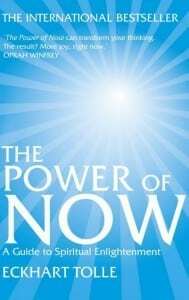 The Power of Now – a guide to spiritual enlightenment by Eckhart Tolle is in the Public Domain, I just learned, and not just the audio version as I have written here earlier, the text-version is also available. (Thanks to the kind folks at the Archive.org) I will try to find his other books and present them here soon, sign up for the newsletter and get notified when they are here. The Popular guide to enlightenment and spiritual freedom. Unfortunately I have been asked to remove this book, by the the rights-holders: http://www.newworldlibrary.com/. I had it posted here because I believed it was in the public domain since it could be found at sites I usually trust. Posterity will regard this book with the same reverence as, and our descendants will find the same solace and guidance as they did in, the Upanishads and Gita, the Dhammapada, the Bible, the Quran, the Granth Sahib ..! !